06.11.2015, We are happy to announce that The White Bicycle Project will be converted into a Social Enterprise in the first quarter of 2016. More information will follow. 15.10.2015, Sokha and Sopheak; Welcome to Norway! 6 months of work experience in Norway and Hotel Expo avaits you! 15.07.2015, Sarith Vin graduates as a Civil Engineer. Sarith Vin has been part of NEDO's scholarship program from 2006, and this month defended his thesis with success! 30.03.2015, PL Q1 2015. B Q2 2015. 20.02.2015, Quartely reports. Due to less project activity in 2015 we will move to quartely reporting this year. 20.01.2015, Annual Report 2014, P & L 2014 and Balance 2014. 20.01.2015, Profit & Loss and Balance Sheet for December 2014. 08.12.2014, Profit & Loss and Balance Sheet for November 2014. 08.12.2014, Profit & Loss and Balance Sheet for October 2014. 17.10.2014, Profit & Loss and Balance Sheet for September 2014. 18.09.2014, Profit & Loss and Balance Sheet for August 2014. 13.08.2014, Profit & Loss and Balance Sheet for July 2014. 28.07.2014, Profit & Loss and Balance Sheet for June 2014. 15.07.2014, We are happy to announce that our Cambodian Project Manager, Samnieng Rouen, has been chosen to take part in a one year exchange program in Norway. The program starts in October 2014 to November 2015. - NEDO will therefore have limited project activities in that period. 30.06.2014, Profit & Loss and Balance Sheet for May 2014. 21.05.2014, Profit Loss and Balance Sheet for April 2014. 15.05.2014, Bølgen & Moi Kok Knang village project successfully completed! In addition to traning and water testing, 150 ceramic filters, 45 water filters, 10 new wells and 20 repaired wells was built and delivered over the past 5 months. 29.04.2014, Profit & Loss and Balance Sheet for March 2014. 17.03.2014, Profit & Loss and Balance Sheet for February 2014. 19.02.2014, Profit & Loss and Balance Sheet for January 2014. 04.02.2013, 2013 Annual report for NEDO. 03.02.2013, Profit & Loss and Balance Sheet for December 2013. 21.01.2014, New water project launched. With funding from the exclusive Norwegian restaurant chain Bølgen & Moi, Kok Knang village will receive a well and water filter package over the next few months. The project includes some 10 Pump wells, 200 water filters and educational training. Implementation of the project is done in collaboration with Trailblazer Cambodia. 20.12.2013, Profit & Loss and Balance Sheet for November 2013. 12.11.2013, Profit & Loss and Balance Sheet for October 2013. 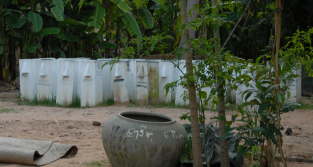 15.10.2013, Due to severe flooding in Siem Reap Province, our water filtration projects are put on hold to the end of the Month. Focus is now on food security and other health related issues. 14.10.2013, Profit & Loss and Balance Sheet for September 2013. 20.09.2013, Profit & Loss and Balance Sheet for August 2013. 30.08.2013, Profit & Loss and Balance Sheet for July 2013. 24.07.2013, Ceramic water filters arriving at Roka and Prohut villages. 19.07.2013, We are happy to announce that The White Bicycles, Love Cards and The Soria Moria Hotel are featured in Ungsung Heroes Cambodia for 2013. 11.07.2013, Profit and Loss and Balance Sheet for June 2013. 11.07.2013, Profit and Loss and Balance Sheet for May 2013. 22.05.2013, Profit and Loss and Balance Sheet for April 2013. 15.04.2013, Profit and Loss and Balance Sheet for March 2013. 25.03.2013, Profit and Loss and Balance Sheet for February 2013. 18.02.2013, NEDO to facilitate and monitor multiple Rotary Grants for Clean Water Projects in Siem Reap in 2013. 18.02.2013, NEDO Sponsors The Giant Puppet Parade in Siem Reap, Cambodia. 18.02.2013, Profit and Loss and Balance Sheet for January 2013. 14.01.2013, NEDO's Annual Report for 2012, Bank Statement 2012, Profit and Loss, Balance sheet for December and year 2012. 15.12.2012, Profit and Loss and Balance Sheet for November 2012. 13.12.2012, Samnieng holds a traffic safety event for the youth club at Grace House. 18.11.2012, Profit and Loss and Balance Sheet for October 2012. 08.11.2012, The Soria Moria wins the Virgin Holiday Tourism Awards for 2012! 23.10.2012, Profit and Loss and Balance Sheet for September 2012.23.10.2012, Profit and Loss and Balance Sheet for September 2012. 22.10.2012, Congratulations to Phanith Phorn (student from NEDO's SSP program), for passing year one at Medical School and for passing the IELTS last month. Well done! 19.10.2012, We are very proud that Soria Moria Boutique Hotel won the Wild Asia Responsible Tourism Award for 2012! 14.05.2012, Profit & Loss and Balance Sheet for April 2012. 23.04.2012, Profit & Loss and Balance Sheet for March 2012. 24.03.2012, Profit & Loss and Balance Sheet for February 2012. 17.03.2012, The 2012 well drilling program has now been launched. We are currently fine tuning our S1 design. The S1 is a shallow pump well (dept 12-25 meters) designed for single or multi family usage. 22.02.2012, Profit & Loss and Balance Sheet for January 2012. 24.01.2012, NEDO and The White Bicycles sponsors the Giant Puppet Parade 2012. 20.01.2012, Profit & Loss and Balance Sheet for December 2011, including full year. 20.01.2012, Bank statement 2011, Paypal statement 2011. 04.12.2011, Profit & Loss and Balance Sheet for November 2011. 04.11.2011, Profit & Loss and Balance Sheet for October 2011. 22.10.2011, NEDO participates in Grace House food relief for flood victims program with a rice donation. 08.10.2011, Individually hand painted Christmas cards are now available for orders. Please contact us for prices and ordering information. 08.10.2011, Profit & Loss and Balance Sheet for September 2011. 16.09.2011, Profit & Loss and Balance Sheet for August 2011. 03.08.2011, Profit & Loss and Balance Sheet for July 2011. 31.07.2011, Profit & Loss and Balance Sheet for June 2011. 31.07.2011, Profit & Loss and Balance Sheet for May 2011. 08.05.2011, Profit & Loss and Balance Sheet for April 2011. 01.04.2011, Profit & Loss and Balance Sheet for March 2011. 23.03.2011, Profit & Loss and Balance Sheet for February 2011. 04.02.2011, Happy New Year. Its now the year of the rabbit and we are happy to announce that our new welldrilling program was initiated this week. Snorre Birkeland (volunteer from Norway) is responsible of training local staff. This picture is taken at the first test well site. Wooden casings for the equipment was built by Snorre. 04.02.2011, NEDO's Profit and loss and Balance sheet for January 2011. 23.01.2011, NEDO's annual report and bank statement for 2010. 03.01.2011, NEDO's accounts for Dec 2010 including annual result and balance can be downloaded here. Our annual report and budget for 2011 will be published on the website later this month. 20.12.2010, We would like to thank Piet Holten for helping us source soya bean seeds from China. We will plant the seeds in our test field by the end of December 2010. 31.11.2010, NEDO's accounts for Oct 2010 can be found here: Profit & Loss, Balance sheet. 30.11.2010, NEDO's accounts for projects (Oct 2010) can be found here:The White Bicycles, Love-Cards. 04.10.2010, NEDO's accounts for Sep 2010 can be found here: Profit & Loss, Balance sheet. 30.09.2010, NEDO's Clean drinking water project for 2010 has finally come to and end and all filters have been successfully installed. The remainer of the year will goto planning and fundraising for next years well drilling program. 17.09.2010, NEDO's accounts for Aug 2010 can be found here: Profit & Loss, Balance sheet. 15.09.2010, Congratulations to Sarath Vin for passing the entry exam at Institute of Technology, Cambodia (ITC). 21.08.2010, Congratulations to Sarith Vin whome achieved 99.841% on the national exam. The result puts him up within the top 10 students of Siem Reap Province. The province has a population of more than 1.5 million. Sarith has been part of NEDO's SSP program since 2006. His village of origin is Samrong village, about 25km north of Siem Reap City. 21.08.2010, The two 12th year NEDO SSP students passed the national exam. 15.06.2010, The White Bicycles, donates 3 bike stands. 20.05.2010, after almost 5 months delay, the first 6 water filters are today being distributed and installed in selected locations. A total of 60 filters will be set up over the next 3 months. 19.05.2010, Monthly reports projects: Love-Cards, The White Bicycles. 25.04.2010, we have received the first 5 wood stoves. The photo's below are from our first test burn. The five stoves will be provided to 5 selected families in Changso Commune, for trial usage over the next 3 months. 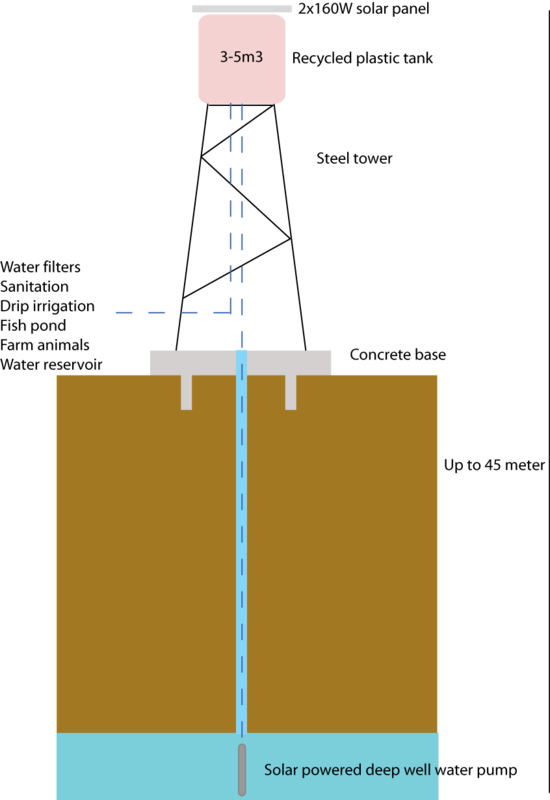 24.04.2010, Preliminary design for NEDO's solar powered water tower. Sponsors needed. 16.04.2010, NEDO is proud to have reached a 100% conversion rate on all donations received. Local micro business projects run by NEDO now pay for all administration costs, and turn over a healthy profit for ongoing projects. 27.03.2010, Opening ceremony for the new school building at Tatouk Primary will be held at the School on Saturday 3rd of April. This school building was paid for by Webcruiter, Tandberg, Adra Match, IC Companys, Love-Cards & The White Bicycles. Notebooks, pens and pencils was given by children at St Andrews in the Bahamas whome arranged a fundraising project by painting and selling Love Cards. 24.03.2010, NEDO starts a trial project to test out energy efficient and carbon neutral wood burning stoves. The stoves are made at the Iron Work Shop (A social enterprise initiated by Sangkheum Center for Children). 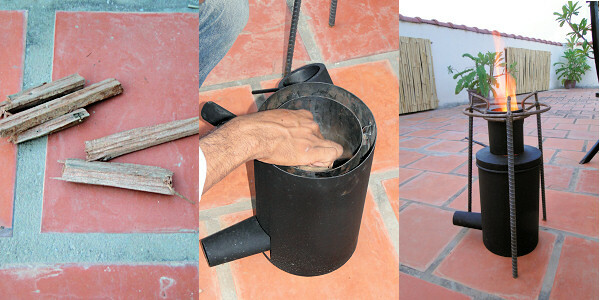 24.03.2010, NEDO starts a trial project to test out energy efficient and carbon neutral wood burning stoves. 18.03.2010, NEDO's The White Bicycle Project is now recommended by Lonely Planet. For more information about the project have a look at: www.thewhitebicycles.org. 25.02.2010, Delay in waterfilter distribution. Distribution of waterfilters have been delayed as much as 8 weeks, due to high demand at our local manufacturer of filters. 15.02.2010, Children at St Andrews in the Bahamas, make and sell cards for the Love-Cards project. 10.02.2010, NEDO sponsors the annual Puppet Show in Siem Reap. 02.02.2010, We would like to thank Webcruiter AS and Borge Soroptimister for their support of our clean drinking water project for 2010. Production of water filters on track and the first deliveries will start in the first half of February 2010. 05.10.2009, Congratulations to Samnang Teng, a 2009 graduate, upon receiving a 4 year scholarship at PUC University. 01.10.2009, Congratulations to Sarath Vin, one of this years high school graduates, as he receives a full scholarship at CIST. H will start studying IT Engineering later this month. 03.09.2009, We would like to thank Gaëtan Moussa for his effort as a volunteer worker for NEDO for more than five months full time. The water filter project would not have progressed as well as it did without your help. 22.08.2009, We would like to congratulate our two 12th year students as they pass the national graduation exam. They will both start at university later this year. 01.08.2009, Interested in funding school desks for Tatouk primary school? We are now raising money to pay for school desks and other equipment for the new school building. Each school desk cost $27. We need a total of 40 desks in addition to two teacher desks. 06.07.2009 Water filters. Second stage of this years water filter project is finally finished. The final stage is now underway with another 108 filters scheduled to be delivered over the next 3-4 months. Due to difficult road conditions from heavy rain, the current distribution speed is 6 filters per week. Photo of old filters returned for inspection and repairs. 20.06.2009 With thanks to funding from Webcruiter and IC Company, the new school building is now up and ready for next a new year starting up in September. 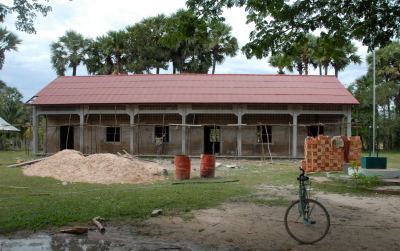 30.05.2009 Tatouk Primary School, building 2. When finished next month it will have the capacity to facilitate an additional 180 children from the age of 6 to 13. 04.05.2009 NEDO's Waterfilter project for 2009 moves on to second stage. All existing filters have been checked, and defect filters has been repaired or replaced. Unsused filters have been taken back and will be redistributed during the month of may. Distribution of 2009 sponsor filters will start in June 09. 01.03.2009 Gaëtan Moussa, from Belgium joins the NEDO team as the new Field Coordinator. 16.11.2008, Health Promotion at Toutear Village. "Clean up the village day". Clean water, recycling and hygiene education. Educational hand outs, toothbrushes, paste and soap. In collaboration with Self Help Community Centre. Arranged by Gro Fjeldtvedt and Snorre Birkeland. 12.11.2008, NEDO presents Love-Cards and The White Bicycles at World Responsible Tourism Day. 04.11.2008, NEDO holds a health and clean water presentation at The Self Help Community Center in Siem Reap. 07.10.2008, Gro Fjeldtvedt & Snorre Birkeland joins NEDO's volunteer team in Cambodia. 23.09.2008, Siri Hartmann joins NEDO's volunteer team in Cambodia. 12.07.2008, Fundraiser for Norway Cup 2010 starts. More information will follow. NB! Sponsors needed. 08.06.2008, Love Cards spreads to Japan! Please visit: www.love-cards.jp. Nozomi Imai from comadori design (www.comadori.com) has taken the responsability to start handle distribution and sales of love-cards in Japan. Production of Japanese Love Cards will start in July and sales are espected to start in August. 01.06.2008, Norway Cup 2009. Repeating the success of sending one Cambodian team to Norway cup in 2006, we now aim to send a second team to Norway in 2010. the team will be from an orphanage in Siem Reap, Cambodia. www.thesangkheumcenter.com. More information will follow. 20.05.2008, The 2007 Clean drinking water project is now finished. 19.05.2008, 04.06.2008, Bukit Merah Junior High School from Singapore comes to visit and work at Tatouk. They will paint the classrooms and interact in projects with students at the school. The project is the first of three in 2008. 16.05.2008, Plans building of a new roof at School. The previous cyclone that devastated Myanmar did also do some damage in Cambodia. In Tataouk, more than 30 houses was destroyed and the schools roof got damaged to a stage where we now need to build a new roof to keep rain from the class rooms. The cost is estimated to about $3.500 (Donors needed). Start - May 29th. 2008. 01.04.2008, The IC Water Station Project. We would like to give our special gratitude to The employees at IC Company Norway, whome donated their Christmas gift to NEDO. The donation will be used to build 3 IC Water Stations. More information will follow. 18.12.2007, The Siem Reap traffic safety project is set to start in Jan 08. 01.11.2007, NEDO starts a collaboration program with Soria Moria Hotel in S. Reap. 14.09.2007, Sarith Vin (17) is employed on the Work for School program. 24.06.2007, Sanitation facilities ready at Tatouk Primary School. 14.02.2007, NEDO starts delivering waterfilters at Kaok village.